[ #AMD #GraphicsCard #Technews #news ] AMD has released their Ryzen Threadripper 1950X at a suggested retail price of USD $999, bringing incredible price/performance ratios to the High End Desktop (HEDT) market. 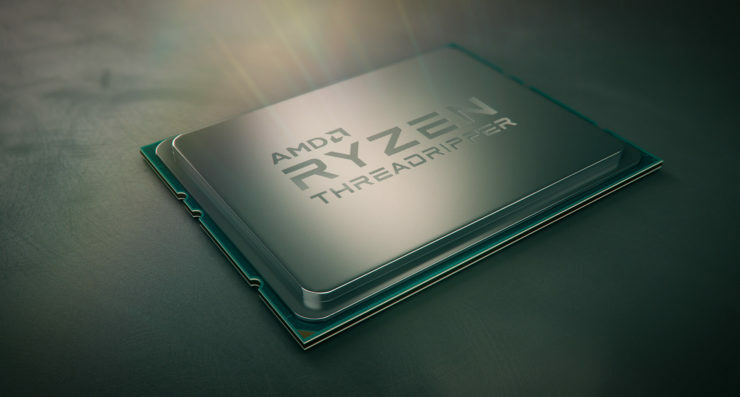 Joining the 16-core CPU will be the Ryzen™ Threadripper™ 1920X, which packs 12 cores and 24 threads, a 3.5 GHz base clock and a 4.0 GHz boost, at a USD $799 suggested retail price. In the video below, you’ll see both processors delivering more performance than the competition’s flagship HEDT processor, the Core i9 7900X – the 1950X by a wide margin. What’s more, every Threadripper X399 platform supporting the 1950X and 1920X features 64 lanes of PCIe® with support for up to four GPUs. And like all Ryzen processors, both the 1950X and 1920X are unlocked for overclocking. Click here to find out more. Ryzen 3 is expected to launch on July 27th with Ryzen Threadripper processors on shelf in early August 2017.